SEOUL -- South Korea's finance ministry ruled out any sudden outflow of foreign capital following a rate hike by the U.S. Federal Reserve, saying it would have a limited impact on the international financial market. The Fed raised the federal funds rate by 25 basis points to a range of two percent to 2.25 percent. The Bank of Korea has kept its key interest rate at 1.5 percent. The rate gap widened to 0.75 percentage point, sparking concerns about a possible outflow of foreign capital. 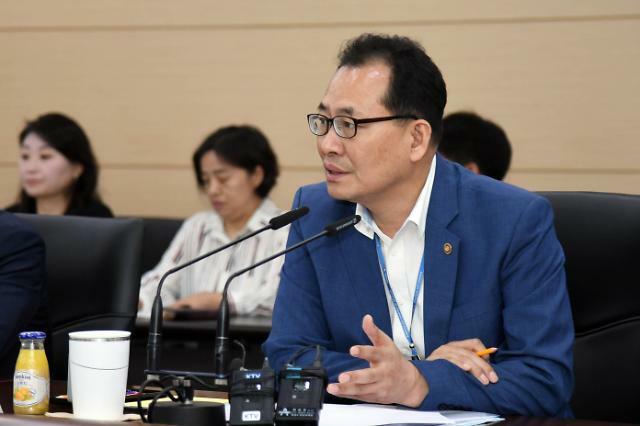 "This interest rate hike has been anticipated, so its impact on the international financial market will be limited," Ko Hyoung-kwon, a vice finance minister, said at a meeting of policymakers. "A sudden outflow of foreign capital is unlikely simply by reversing policy rates." Ko said that financial authorities would closely monitor market uncertainties, citing an ongoing Sino-U.S. trade war and a financial crisis in Argentina.